Delicious Chunky Monkey Chocolate Banana Peanut Butter muffins, with peanut butter and big chunks of chocolate. I tend to make muffins fairly often. They are great to have on the counter for snacks and my husband loves to take them with his lunch. And while I generally try to keep some baked goods out of sight (and out of mind), I find that muffins are quite safely left out around me, as they don’t really tempt me much at all. Until now. 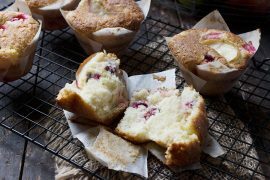 These muffins are nice and moist and keep well for several days when kept in an airtight container at room temperature. They would also freeze well, for longer storage. I used regular pantry peanut butter for my muffins (Skippy, to be exact :) I haven’t tested these with natural peanut butter, though I suspect it would work just fine. Let me know if you try it! As for the bananas, the more ripe they are, the better the flavour! While you could use regular chocolate chips in these muffins, I highly recommend picking up some chocolate chunks. 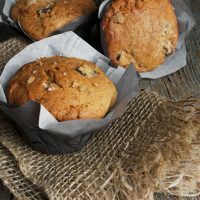 The generous pieces of chocolate are a big part of the appeal of these muffins (together with the banana and peanut butter). I haven’t tried these muffins without paper liners, but they don’t stick to the liners much at all, so I’m thinking you may do fine with just a generous greasing of the muffins cups, if you don’t have liners. Delicious peanut butter, banana and chocolate muffins. Makes 10 large muffins. You can make them smaller to make more, but adjust cooking time down accordingly. Keeps well for several days in an airtight container. 1 Tbsp. white sugar for sprinkling before baking. Line 10 muffin cups with paper liners and set aside. 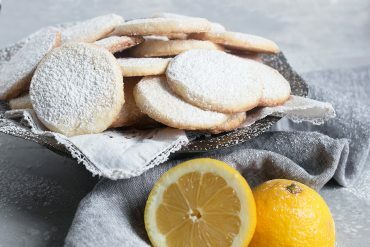 Preheat oven to 350° F.
In a large bowl with an electric mixer or the bowl of a stand mixer fitted with a paddle attachment, cream butter and 1 cup sugar until light and fluffy. Add eggs, one at a time, beating well after each addition. Beat in the bananas, peanut butter, milk and vanilla. In a separate medium bowl, whisk together the flour, baking soda and salt. Add to creamed mixture just until moistened. Fold in the chocolate chunks. Divide batter between the 10 prepared muffin cups. Sprinkle with remaining white sugar. Fill any empty muffin cups 1/2 full with water. Bake at 350° for 30-35 minutes or until a toothpick inserted in the centre of the muffins comes out clean. Cool for 5 minutes before removing from pans to finish cooling on wire racks. * I used regular pantry peanut butter for my muffins (Skippy, to be exact :) I haven’t tested these with natural peanut butter, though I suspect it would work just fine. Let me know if you try it! As for the bananas, the more ripe they are, the better the flavour! 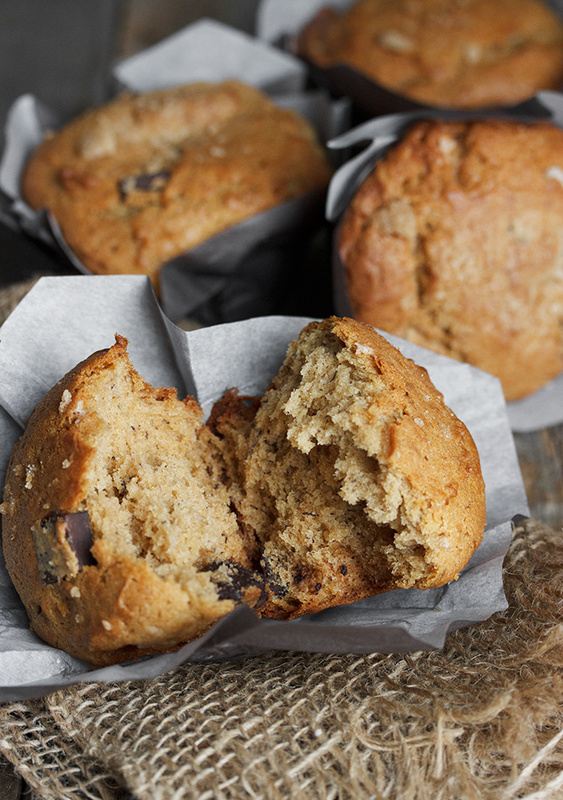 ** While you could use regular chocolate chips in these muffins, I highly recommend picking up some chocolate chunks. 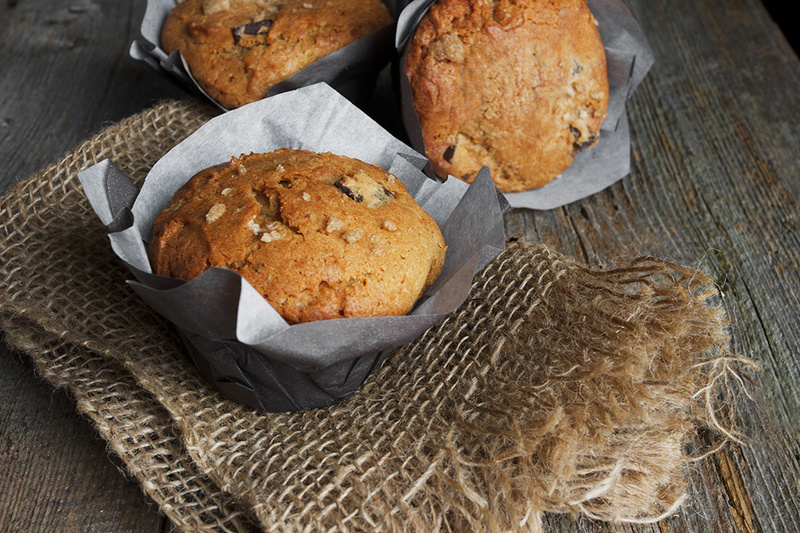 The generous pieces of chocolate are a big part of the appeal of these muffins (together with the banana and peanut butter). These are amazing. I made them with 1 cup semi sweet chocolate chips and the first word out of my son’s mouth was “Yummy”. I will be trying the recipe with gluten free flour next time, hoping it will turn out tasting close. 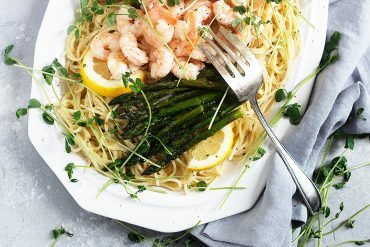 Thanks for another delicious recipe!!! 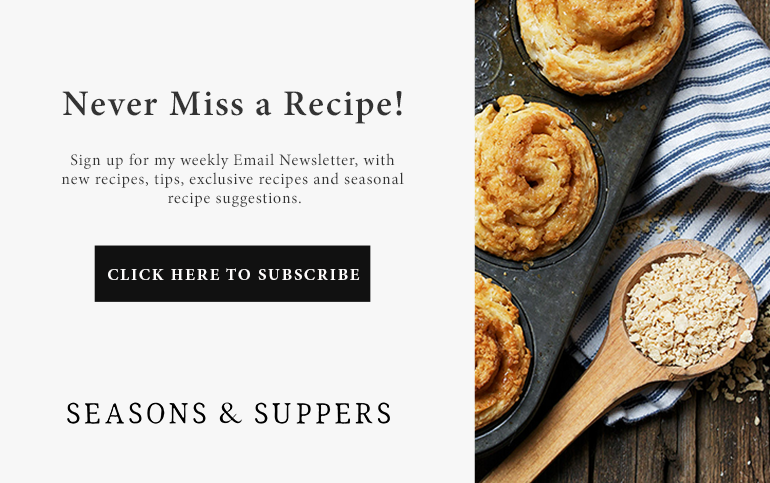 Made these muffins recently – once it cooled down for a couple of days! 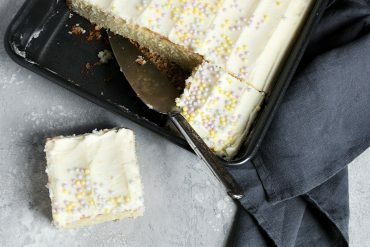 The ingredients are some of my husband’s favourites so figured I couldn’t go wrong. I’ve made lots of muffins but this was my first time using a stand mixer but think the batter was beaten longer than it should have been. Used natural crunchy peanut butter from Bulk Barn & their large semi-sweet chocolate chips. Just sprayed the jumbo muffin tin & had no trouble removing the muffins. Forgot the sugar topping! 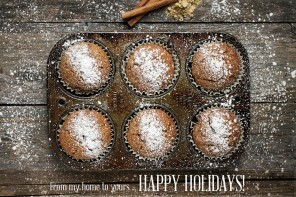 Your receipe made six, very generous muffins which were thoroughly enjoyed! So glad to hear, Andrea :) I think these will stand up well to gluten free flour, with all the extra goodies in the dough, these aren’t all about the flour. I wish I was a better baker but I’m going to try these because I can’t stop thinking about them! 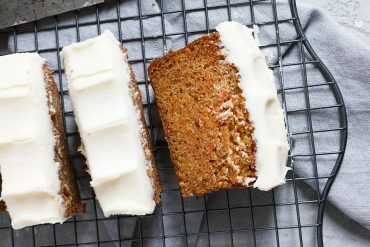 So much deliciousness in every bite! Bananas chocolate and peanut butter – how perfect! They are just adorable – love the name and the amazing texture. Great shots Jennifer! Thanks so much, Tricia. I am glad they are all eaten now. They were far too tempting!! These muffins are delicious! I used 1/2c sugar and 1/2 c honey, and I used 1/4 c cocoa nibs and 1/2c chocolate chunks. These are soft and yummy! 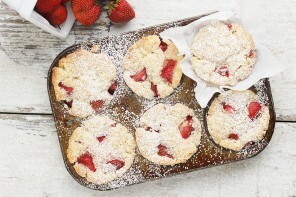 These muffins sounds so incredibly delicious!! 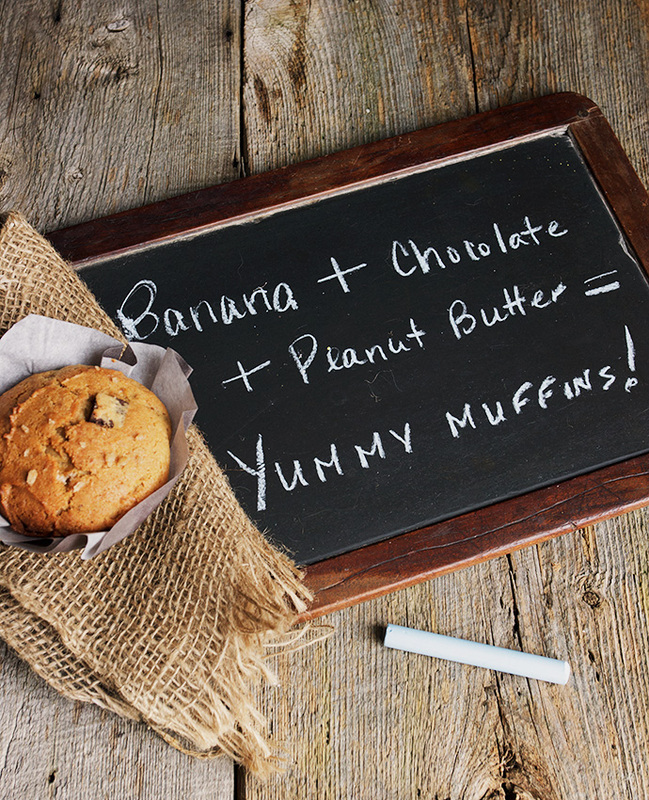 I love a good banana muffin, and you can’t go wrong adding peanut butter and chocolate. Love it! These do sound totally yummy Jennifer! Can’t beat the peanut butter, banana and chocolate combo! Can’t wait to make these for Tom! I have a strong craving for muffins now! OMG these muffins LOOK AWESOME! Seriously peanut butter + banana + chocolate?! It doesn’t get better! 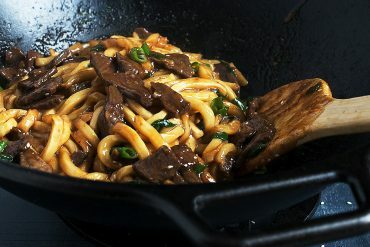 Definitely want to make this but substituting for allergen free ingredients! I can definitely see why these would be tempting just sitting, calling to you on the counter! They combine all of my favourite breakfast flavour combinations. Love it! My love for muffins runs deep and these look perfect! Chunky and jam packed with deliciousness! Totally wishing I had a few dozen of these for breakfast today! Pinned! Cheers, dear! Thanks Cheyanne. I truly could not stop eating these!